Your Local Market is Different. Understanding your local market customer and customizing a marketing and advertising strategy to reach them makes the difference in driving traffic and having the customer driving Chevy cars and trucks out of your showroom. For your Chevy LMA’s custom market strategy, advertising, and sales and event promotion that builds showroom traffic, sales, and ROI, call us today. Call Tim Trainor (800) 765-7970 x101, or email tt@trainor.com. Our GM LMAs have consistently out-indexed the national average in sales and registrations. Over 22 years of GM LMA experience, results, and referrals that we put to work for you. 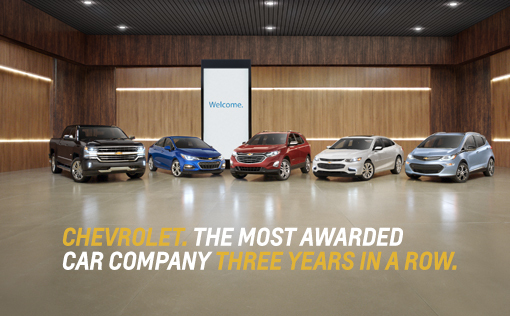 We work "for" you, the dealers, and we work "with" GM and Chevy, all as partners working together to move inventory. Ingenuity, new ideas, new approaches...we leverage local market opportunities so you can quickly maximize traffic and sales. We react quickly to new local market conditions, inventory load, new programs, and opportunities. Or create them with you. Listening to you and your market, we develop integrated traditional and digital creative that drives leads, traffic, and sales while building brand. We target 100% - 110% Media Efficiency with your dollars, delivering maximum reach & frequency, CPP value, and accountability. Complete integration of online media, promotion, CRM, and lead management that drives traffic to your dealer Web sites and showrooms. Leveraging of your local market events to build brand awareness, test drives, leads, and showroom traffic. Or we will create one with you. Strategy, advertising, digital, direct mail, sales promotions, contests, event marketing, and more, all integrated to build leads and sales. Tracking, measurement, and reporting that ensures results, accountability, and ROI. Complete coordination and communication support with LMA dealers, accountants, attorneys, and Chevy and GM management to provide maximum LMA dealer freedom.and digital creative that drives leads, traffic, and sales while building brand.